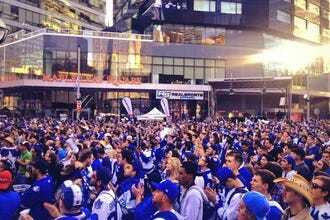 Toronto has many sophisticated people who want a sophisticated place to go. Enter the lounge, the place that warrants a high heeled pump or a Windsor knotted tie. Mind you, we have also included some establishments that wouldn't blink if you decide to make your entrance in yoga pants. The word lounge already indicates the relaxed nature of the evening. Rather than working to scream over loud bass, you can converse. You have your choice of cocktails to either help along or hurt that conversation. Some lounges get opinionated on what your beverage of choice should be by specializing in tequila, such as the Reposado Tequila Bar. Others are more opinionated on what your beverage of choice shouldn't be, such as Hoof Cocktail Bar's obvious distain of vodka. You can get a magnificent view of the city from many of these locations, whether you are peering over a rooftop or seeing Toronto from a new angle. 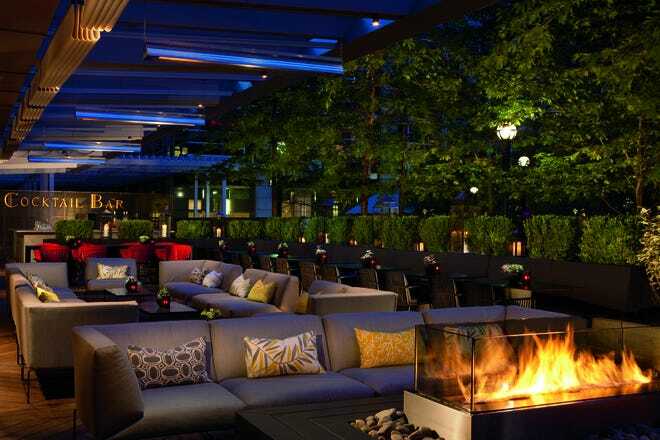 The DEQ at Ritz Carlton Toronto has a magnificent patio that provides an urban oasis right in the heart of downtown. You can even sit by a snazzy pool on a rooftop at The Thompson and get a tan alongside your cocktail. Some of these locations are hard to get into and others suggest a reservation. How serious are you about your cocktails? 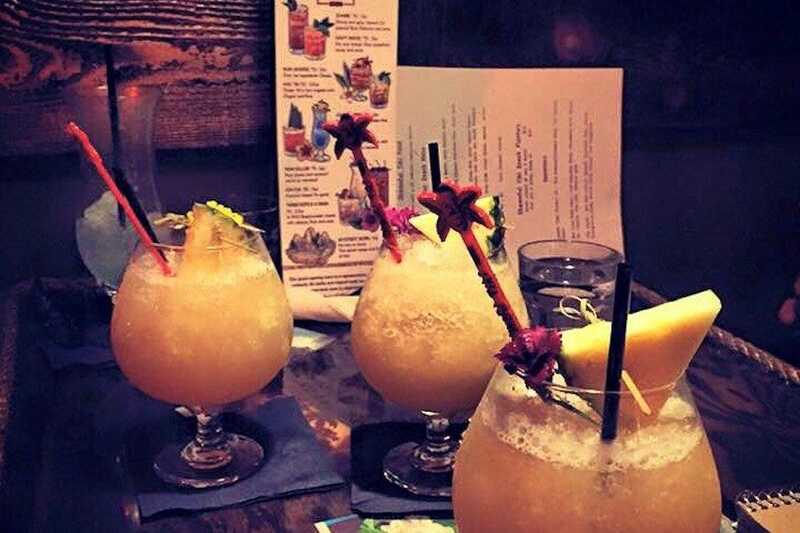 There is nothing shameful about craving a tiki room in Toronto. In fact, we would go as far to say that it is perfectly natural. After winter in excess, we could all stand to have a pineapple or two. Rod Moore is the Vancouver native behind the Vancouver restaurant that also opening in Toronto in late 2015. He claims that there is a "tiki revival" and we hope that he is right. Six foot totems are carved from pine to greet you and submerge you in an experience designed to be fun. Try a mai tai if you want to be classic, which comes served in a pineapple. Or go for the shareable mystery bowl if you are the kind of person who always went for the punch bowl at high school parties. You are sure to have an excellent time. Sometimes you want to hear your ears pop on the way to your lounge to feel like something special is going to happen. The One Eighty is all about the view. Perched on the 51st floor of the Manulife Centre, balconies at The One Eighty jut out onto Bay Street and are the perfect place to see and be seen in the summer months. Cocktails are pricey but you have to pay for a slice of the good life in Toronto. Rosemary focaccia makes for a nice start to your snacking, warm from the oven (and paired perfectly with a rosemary whisky sour). 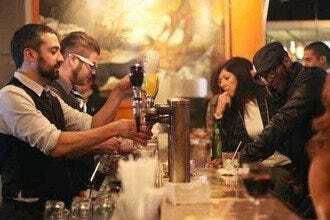 It can get very crowded if you are going after 10pm, so if you prefer a quiet conversation, make it an earlier night. If you would like to drink at a lounge that you are pretty sure Sherlock Holmes would sit at, D.W. Alexander is the place to go. Bookish and intimate, like a funky college library (can libraries be funky? ), this small lounge packs a lot of style. D.W. Alexander was a leather trader in the late 19th century and this place places homage to a highbrow past while somehow getting away with playing top 40 and hip hop. Whiskeys are highly recommended (they even have Japanese whiskey Hibiki Harmony) and there is free bacon popcorn to snack on while you wax nostalgic about the good ol'days. From Fashion Week to TIFF to Hot Docs, Stirling Room is the rare lounge that can keep up with the changing face of Toronto. 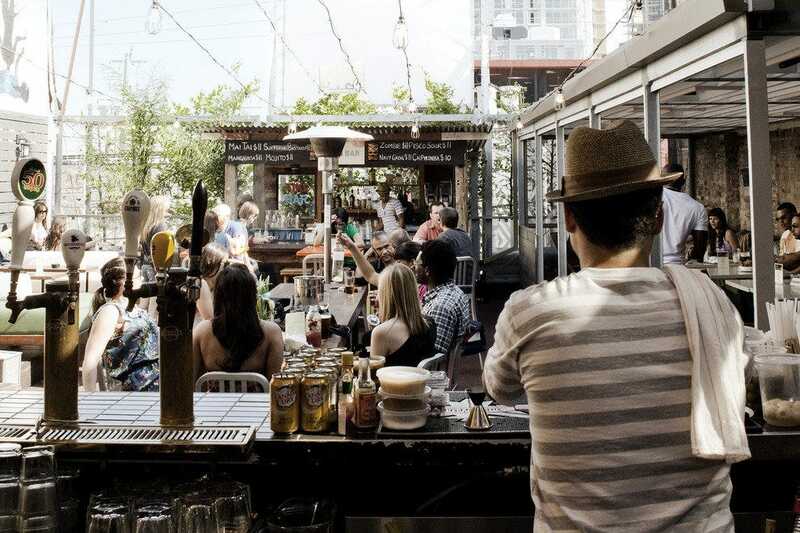 Located in Toronto's historic Distillery, even Prince Charles has walked past this hot spot. 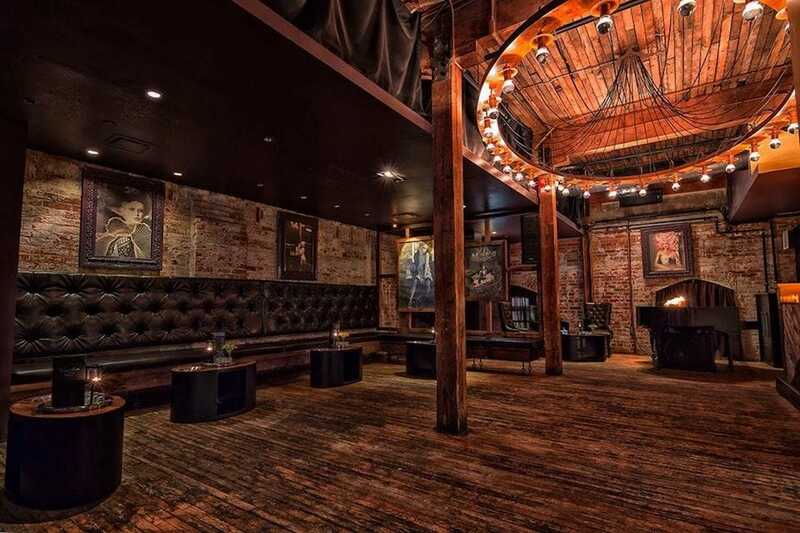 Elegantly appointed, the exposed brick, large wood beams and rusted chandeliers make the lounge feel grandiose. At the very least, it may inspire you to get gussied up. 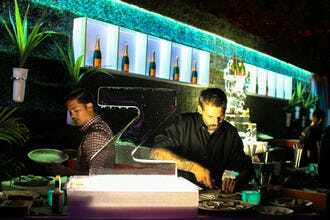 With live music and DJs, this lounge can feel like a club as it pulses into the wee night hours. There is the unique grand piano DJ booth, which has to be seen to appreciate upcycling at its finest. It is only open Friday and Saturday, so plan accordingly. The rooftop lounge in the Thompson Hotel is not necessarily the easiest spot to secure a spot, but do attempt it. Go early and stay for awhile, loading up on sunblock and cat eye sunglasses to fit in with the Beverly Hills Hotel vibe. 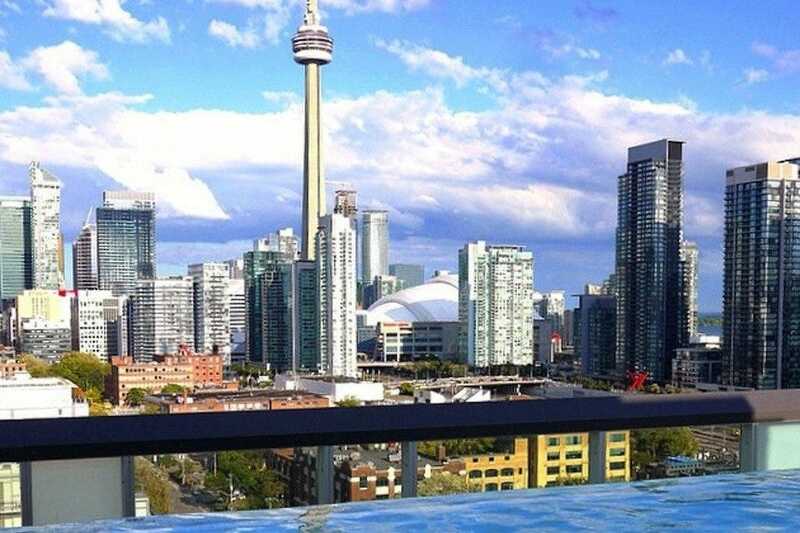 Situated on the 16th floor of the Thompson Hotel, an infinity pool overlooks the glittering lights of the downtown Toronto core. 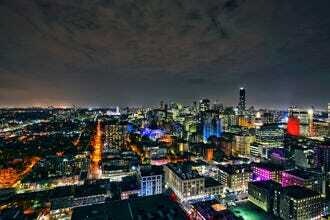 Many people insist this is one of the best views in Toronto (watch out, CN Tower). By night, cabanas open up. 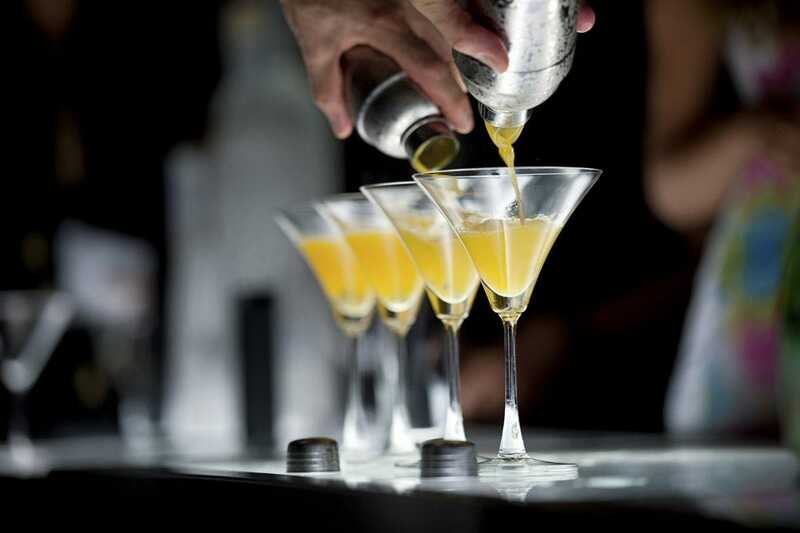 Sip seasonal cocktails or start a bottle service. It feels like a beach vacation right in the heart of the city. Although most people may not think "lounge" and think "tequila," Reposado Tequila Bar may make you change your mind. 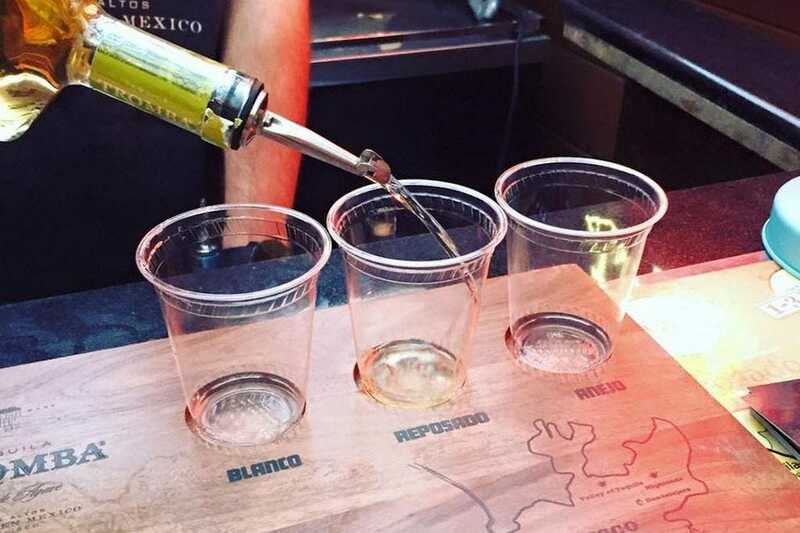 If you and tequila haven't had a solid relationship yet, a reposado is a type of tequila that has been aged in a oak barrel. There are over 128 tequilas behind the bar, so you certainly have your choices. There is even an affiliated house band (named the Reposadists) to bring the party to another level on the weekends. Indoor and outdoor seating provide lots of atmosphere, while the tapas menu can help to soak up some of the excess liquor so that things don't get too crazy. An opinionated cocktail bar that can be hard to find from the street, Hoof Cocktail bar is the drinking extension of the extinct, yet popular, restaurant The Black Hoof. 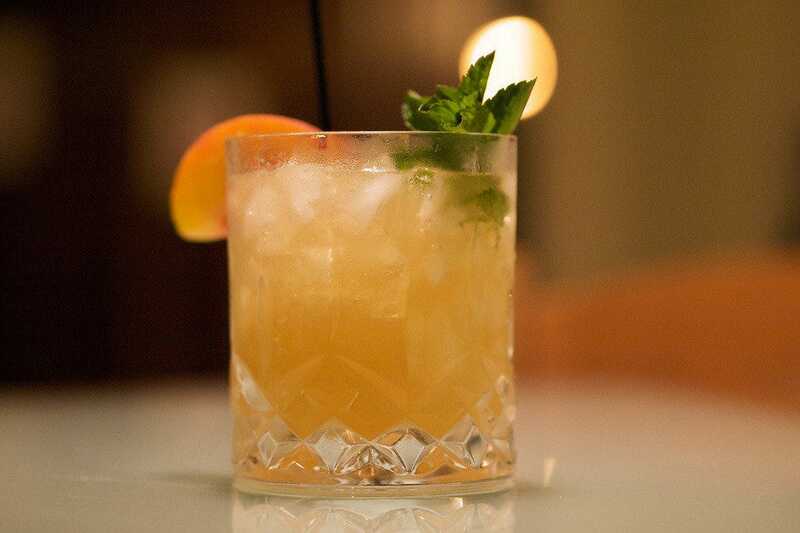 You will find classic and clever drinks with bourbon, rye, cognac and more for the base. You may want to try a Guajillo Margarita, even if you don't know what guajillo infused tequila is. What you won't find as the base is vodka, which owner Jen Agg declared as "dumb" in a blog post. If you can do without your vodka, you will gain low lighting, smooth jazz and candles in mason jars as the backdrop to your drinking experience. The food menu is limited, but does include Black Hoof inspired meaty elements, such as duck wings or popcorn chicken hearts. If you are really hungry, go to the Black Hoof after or before your drinks. 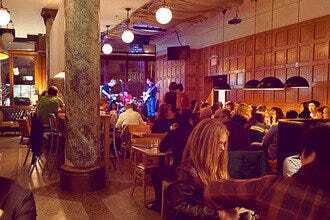 The Drake Hotel Lounge describes themselves as "your home away from your home's living room...only better." That tagline is ideal for dedicated homebodies, and this eclectic Toronto space lives up to its promise. The Drake is a trendy and unique space that has everything from a dance club to a hotel to a brunch space. Boozy beverages are abundant, from $5 beer to mouth puckering sours to champagne cocktails. There are also charming boozeless beverages, such as the retro Root beer Float (the cast of Riverdale would surely approve). Check the website to find out the theme of the night, which could be live music or trivia night. 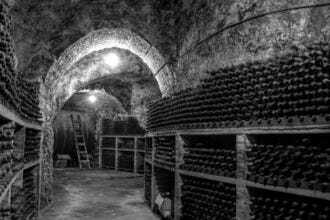 Have a few drinks, and then wander around to see if you prefer the patio upstairs or the dark dance cave in the basement. 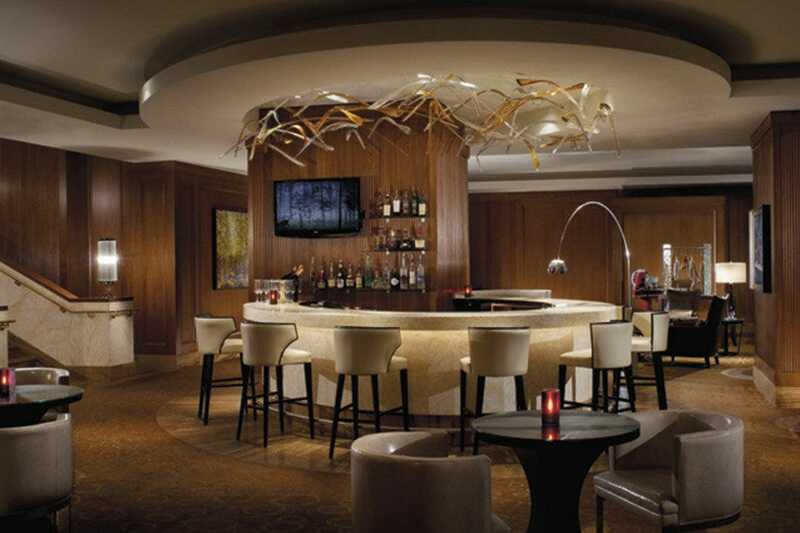 Wear something fancy and indulge in an equally fancy cocktail at the Ritz Carlton's elegant DEQ Terrace and Lounge. During the winter, cozy fireplaces and furnishings inspire patrons to hunker down. During the summer, the fireplace will follow you outside to the expansive patio which overlooks the CN Tower and downtown Toronto. Enjoy complementary kettle chips while you imbibe, or indulge in a lovely light menu that includes gems like truffle frites with pecorino and bacon wrapped dates with asiago cheese. Cocktails are one-of-a-kind, with luxurious choices such as "Les Fruits d'Amour" with grand Marnier, sparkling wine and fig pearls topped with grapefruit infused champagne foam. DEQ, you had us at champagne foam. 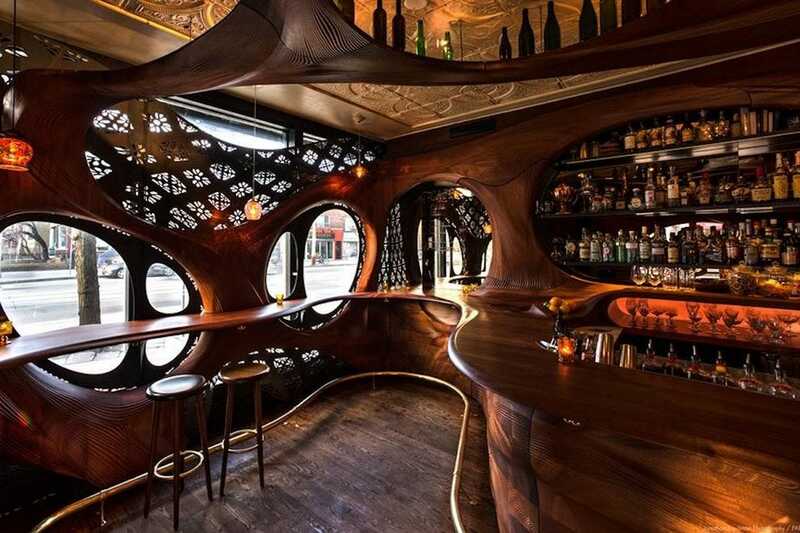 Bar Raval has an aesthetic appeal so universal, most people start out their evening by taking a photo or two. The Gaudi-inspired panels appear like Swiss cheese that has turned into wood. Wine bottles balance precariously on the swirly wooden ceiling. It looks like a slice of Spain in Toronto's Little Italy, with cocktails that are all about their twists and takes on the classics. They are not trying to be like anyone else, and like the cool kid at school who doesn't try too hard, it works. Food ranges from tuna belly to charred octopus to doughnuts. A combination that would arguably only work in Canada.